What is it and is my chicken ruined? 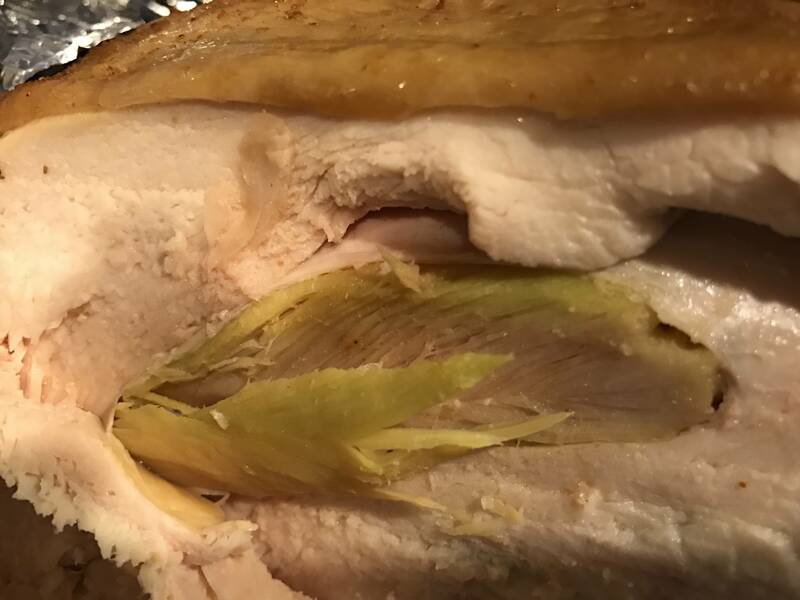 It's called deep pectoral myopathy or "green muscle disease", and it's a problem with heavy breasted poultry. The vessels are unable to supply enough blood to the muscle, with the result of death of the muscles affected. It's not detectable until the chicken is cut open. By the time you see the green colour, muscle death occurred a couple of weeks prior and fibrous woody tissue has developed. Since breeding practices for roaster chickens and turkeys often favor heavy-breasted poultry, this is likely to be found more often until that changes. There is no odour or bacterial growth with this, and the meat itself is safe to eat, though no one would eat the green part. The Occurrence of Deep Pectoral Myopathy in Roaster Chickens, from The Journal of Applied Poultry Research, has extensive info available about it. Comments are not for extended discussion; this conversation has been moved to chat. If you want to discuss poultry breeding/raising in general, please go there. The muscle died and the fibre are discoloured because of it. The muscle died primarily, because it was genetically developed to grow too quickly for its heart and blood was not able to get to the specific area. However it could have been due to it not having enough room to move or if it got an infection from standing in several generations of feces from previous chickens. They do get a lot of antibiotics to prevent this, though.